Today I'm thinking about my favorite books as a child. 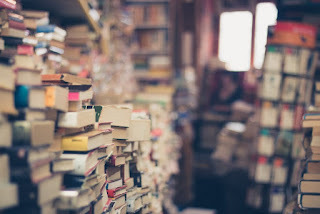 These aren't necessarily the best books or ones that can stand up to a reread as an adult (at least without a heavy dose of nostalgia coloring my opinion) but they are books that really stand out in my memory as books I loved. 1. The Ghost at Dawn's House by Ann M. Martin - I LOVED the Babysitter's Club series and this one was my absolute favorite. My copy completely fell apart it was so well loved. 2. Eight Cousins and 3. Jo's Boys both by Louisa May Alcott - I wasn't a big fan of Little Women but I loved these two. I reread them over and over again. 4. Four Story Mistake by Elizabeth Enright - I'm not sure how I ended up with this one and I didn't read anything else by the author until I was an adult but I loved this one. I loved all the adventures the Melendy kids had and it was one of the few books that made me wish I had siblings. 5. Christina's Ghost by Betty Ren Wright - I loved all things ghostly as a kid and devoured so many books with ghostly plots but this one sticks out in my head because my teacher took it away for reading it at lunch (she was crazy - it took until I was an adult to fully realize this) and when I told my Dad what had happened he immediately took me to the library so I could check out a copy. 6. 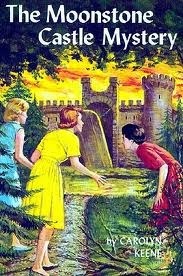 The Moonstone Castle Mystery by Nancy Drew - I loved all things Nancy Drew but this one especially has stuck with me. For some reason it really spooked me so of course I loved it all the more. 7. Belles on Their Toes by Frank B. Gilbreth Jr and Ernestine Gilbreth Carey - I loved Cheaper by the Dozen but I loved this sequel even more. Though I must admit that the mother's casual attitude about the girls' smoking completely blew my mind! 8. Anne of Green Gables by L.M. Montgomery - I was really resistant to reading this and in fact never tried it until after I saw the Disney movie with Megan Follows. Then I devoured the entire series in a weekend and have read it countless times since then. 9. The Lion, the Witch, and the Wardrobe by C.S. Lewis - I actually didn't get all through the Chronicles of Narnia until not that long ago but as a kid I loved this book so much! 10. These Happy Golden Years by Laura Ingalls Wilder - I loved the whole Little House series but this one was my absolute favorite. I loved the bit of romance between Laura and Alonzo and read it so many times! What were some of your childhood favorites? 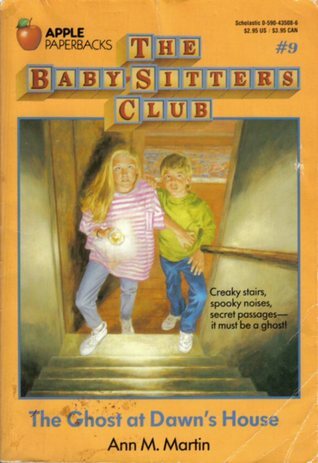 I never read Babysitters Club but they look like they would be fun reads for a kid! And of course Nancy Drew! I think I read that one... I loved the Lion, the Witch and the Wardrobe too although it was always tough when Aslan died. And I did read some of the Little House books. I never read any of the Little House books but I did watch it a lot on TV! I was a big Nancy Drew fan way back in the day, as was my daughter and now I'm saving them for our 6 y/o granddaughter in a few years. Oh, this was fun! I'm not sure I've read that Nancy Drew book, though I read a lot of them. I've been thinking of reading one again. Maybe I should try the Moonstone Castle book. Yes, I loved Eight Cousins and still have my copy from when I was a kid. Did you ever read Rose in Bloom? I loved that one too. Christina's Ghost - read that one to my daughter when she was young. We both loved it. Betty Ren Wright had a lot of good books. The Babysitters club came after my time of childhood! I never knew there was Eight Cousins, although did love any of the LMA books I got my hands on. Oh man, my favorites as a child were probably all R.L. Stine. I loved his Fear Street series, and the other YA books he had. I wasn't super into Goosebumps, though. I can't remember if I ever mentioned this podcast to you, but just in case I haven't, do you listen to The Baby-Sitters Club Club? It is legit one of my favorite podcasts, and I think you might like it. I would start from the beginning though. They are almost through all the regular babysitters club books. I still have to read those two Alcott books. I have them both on my Kindle! We could have been childhood book buddies! I loved Anne of Green Gables, The Lion, The Witch, and the Wardrobe (it's still the only Narnia book I've read), Nancy Drew, and the Little House books. Ahhh, memories! I loved all of the Little House books. I was also a pretty big fan of everything Beverly Cleary wrote. I did love Little Women and all of the other books about Jo. Other favorites included A Little Princess; Catherine, Empress of All Russia (launched my love of biographies which led me to one about Helen Keller I loved); Tom Sawyer; Huckleberry Finn; The Five Little Peppers and How They Grew; A Wrinkle In Time. I read voraciously as a kid but I always have such a hard time remembering what I read!